I've built my share of Kleins over the past few years, but I have to say this one ranks up there among the all time greats in my book. 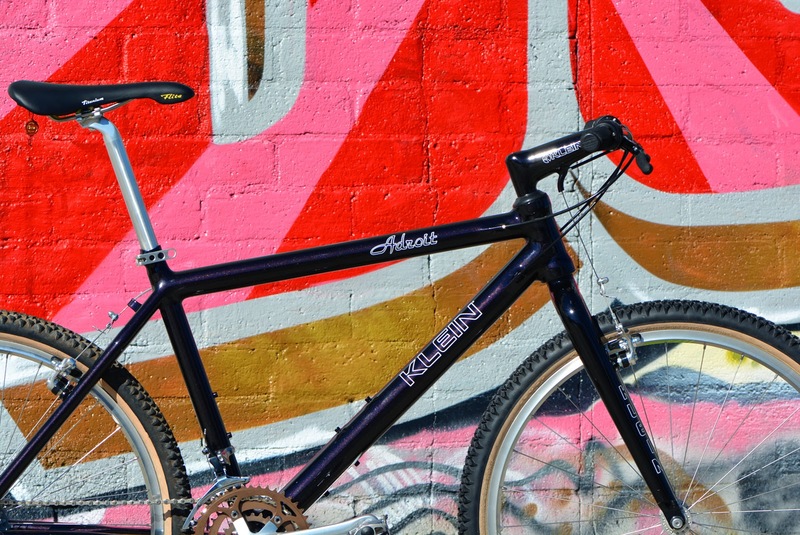 Not only is a rather uncommon year, a very rare paint job but also built with a full factory (that is original Klein equipped) Ultra Light package. 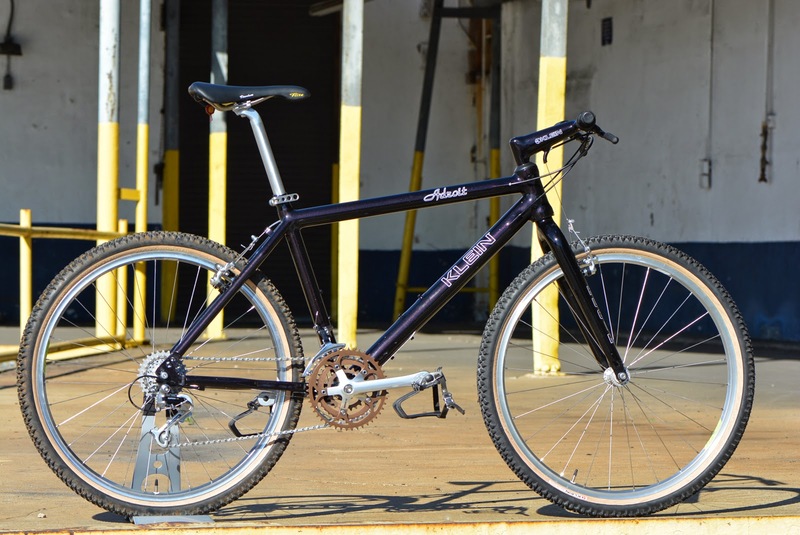 There is an emerging trend among Klein afficionados to build the elusive Ultra Light package and people scour the ends of the earth to find the unique, hand selected part to make it complete. I've only ever seen three factory built bikes, and this one will make four. All of the parts on this bike are NOS and were one of the leftover UL kits I bought a while back. 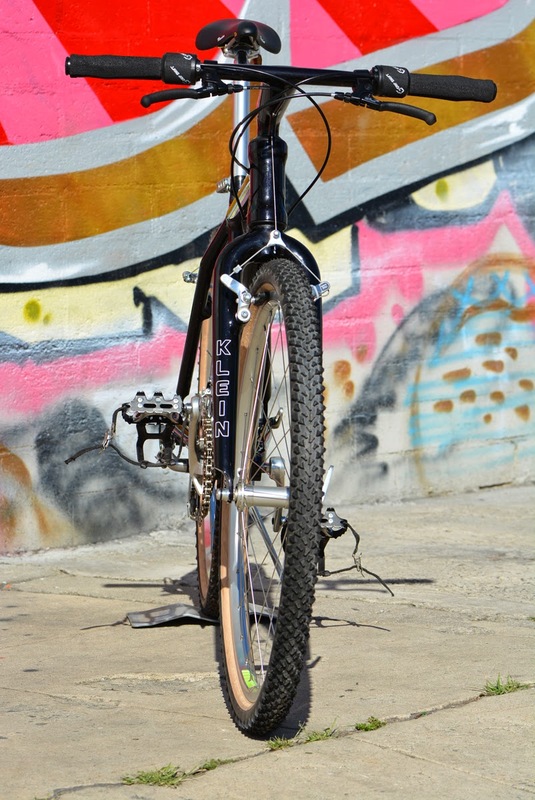 According to the original owner of this bike he first saw it at a bike show in Los Angeles in early 1991. 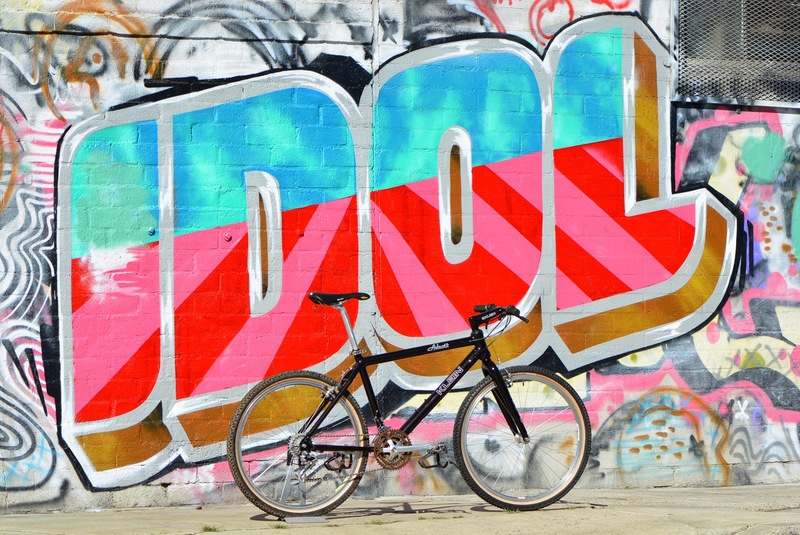 For whatever reason the bike ended up at a local bike shop and he bought it. He owned it until 2013 at which point I bought it. It was built up with a mix of lightweight and eclectic parts from the era. The fuselage was in amazing condition, a feat mainly made possible the previou owner's use of electrical tape to shield areas prone to damage. It took hours to remove all of the tape and adhesive residue. The finished bike weighs in a 19.9 lbs, no thanks to the 150mm Mission Control bar/stem combo (a 135mm would have helped). The color on this bike is absolutely stunning. I've only ever seen two other pearl blacks and each one seems to be different. This particular one has a lot of plum/purple flakes added in, making for a truly amazing end result. The crown of an Adroit fork is a thing of beauty, it looks as if the fork was blown out of some mysterious glass, the shape and smoothness of the curves is second to none. 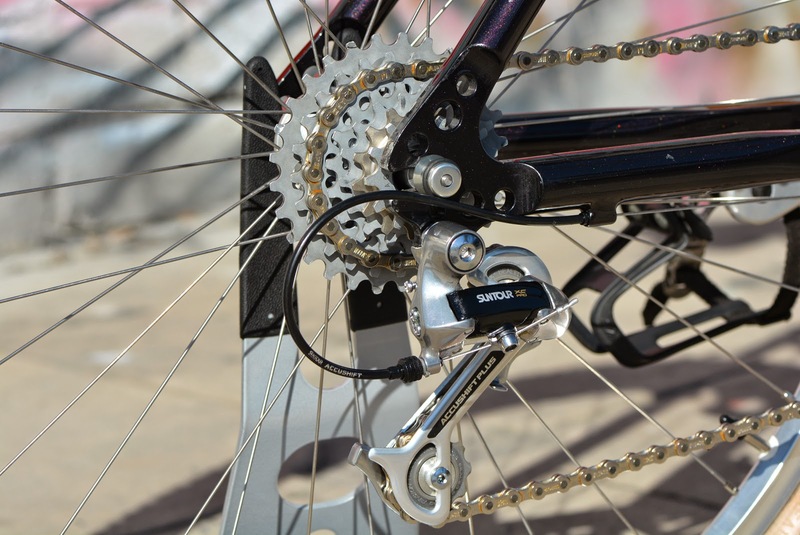 One of the unique features of a 91 Adroit is the use of a seat tube reducer to accomodate a 27.2mm seat post. 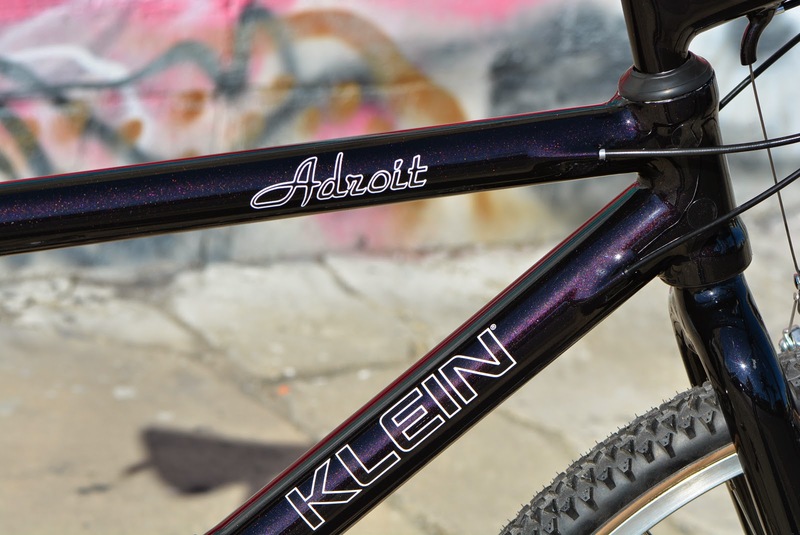 At the time the Adroit came out nobody made 31.6 seatposts, so to use the large diameter (34.9mm) for the seat tube Klein had to weld on a reducing top which allowed the smaller seat post to fit. Frankly I'm amazed these things lasted, but then I have to image there there is a lot of weld material there to reinforce the joint. 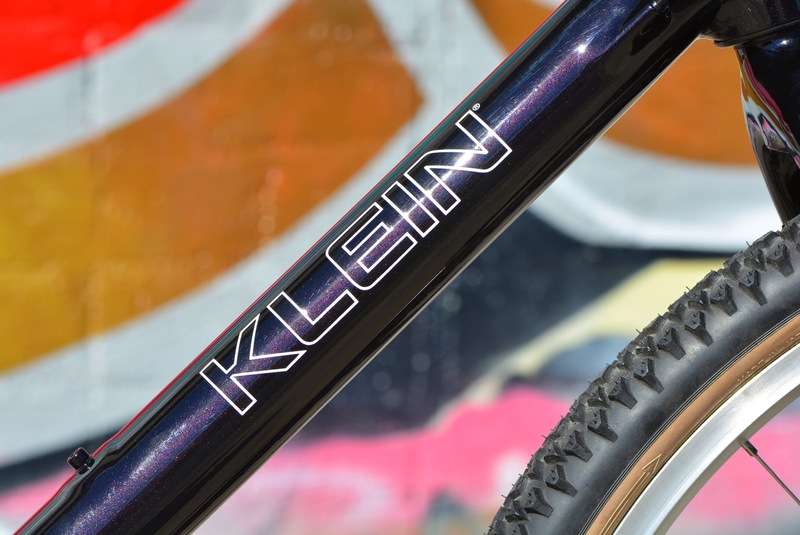 I love the outline Klein logo which highlights the paint by letting it show through the decal. 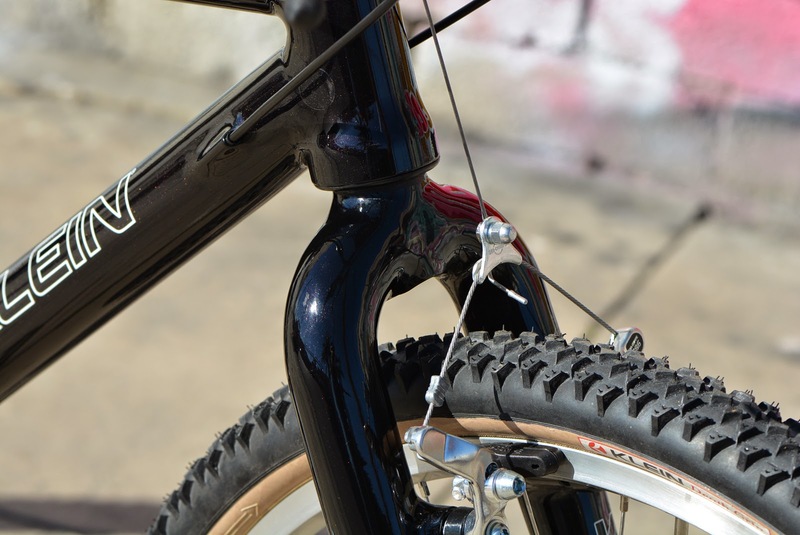 Another unique feature of this bike are the prototype Death Grip tires. 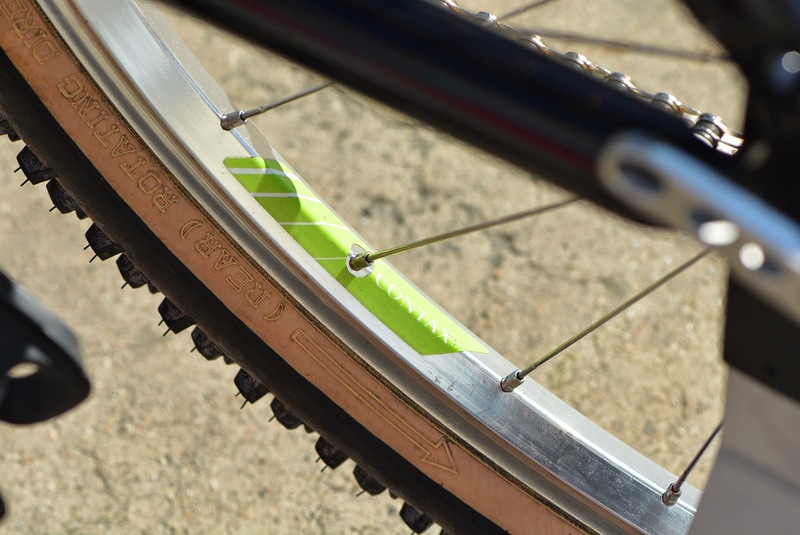 There were only a few pairs of these amberwall tires ever made and so having these on the bike add to uniqueness and rarity of the overall build. 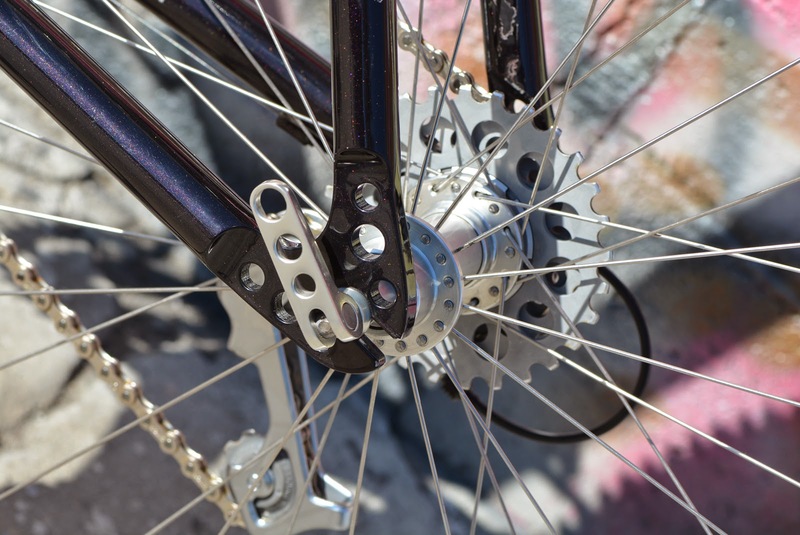 One of the identifying pieces of the build is the 28h, radially laced Hi-E front hub. 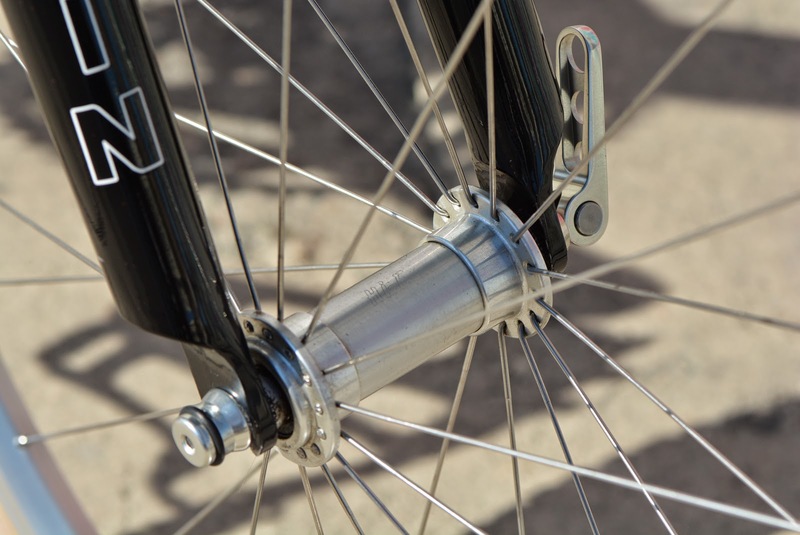 Hi-E hubs were primarily made for road use, but also saw some limited use in mountain bike applications, especially when weight was an issue. 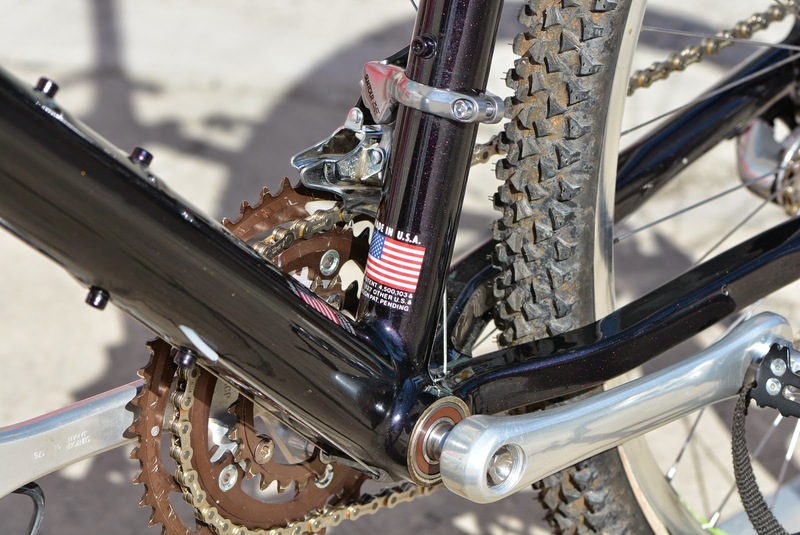 Charlie Cunningham was well known to use modified Hi-E hubs on many of his early Cunningham mountain bikes. 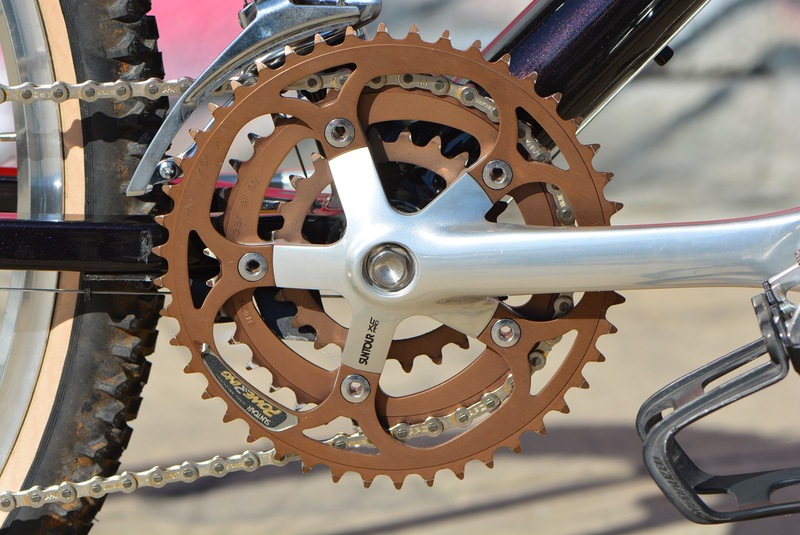 Suntour XC-PRO cranks with the 1991 only bronze chainrings, Ti bolt and spindle were used as a part of the Ultra Light package. 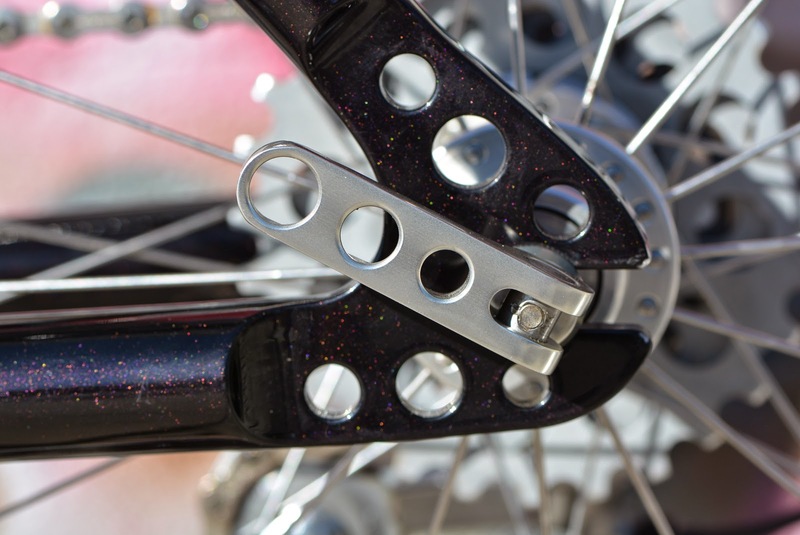 One of the best quick release, drop-out and FW combinations one could imagine!!! You know there was only one thing on the mind of the manufacturer, weight! I just can't get enough of this pairing... it's just perfect! Admittedly this bike looks much worse equipped with 2.1 tires (rather than the 2.35s), but it had to be done in keeping with the spirit of the build. One parting shot for the road. 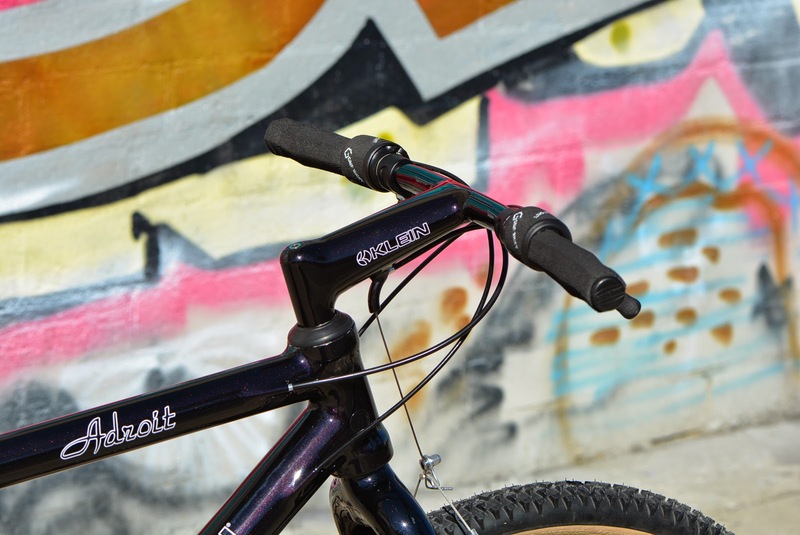 It's an amazing bike, really stands out above the rest. 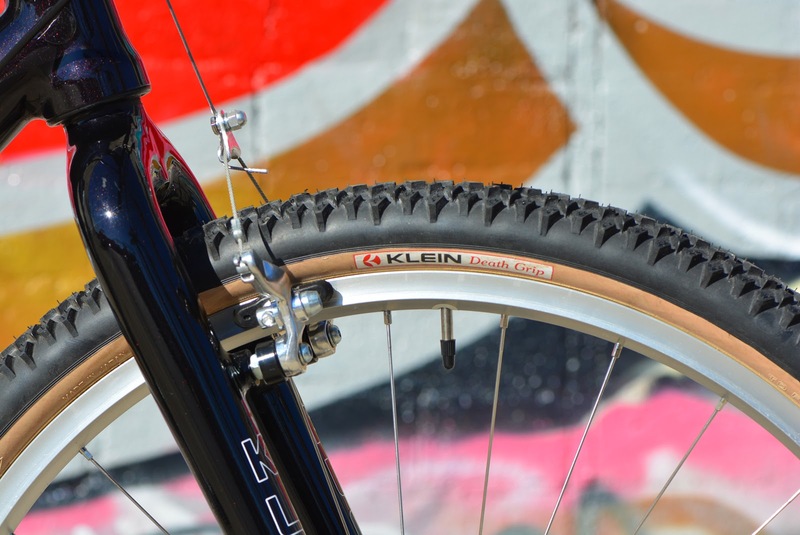 In my humble opinion this is what a Klein should look like. 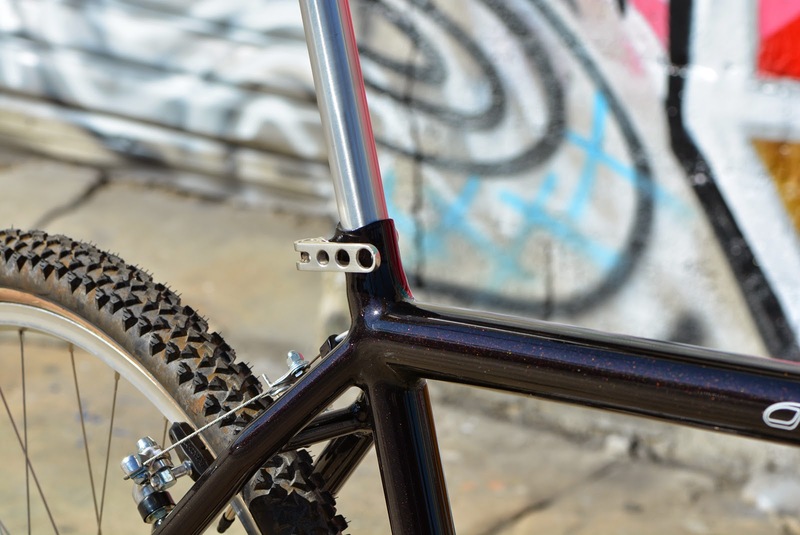 The frame is the highlight of bike and the parts just serve as supporting cast, no fancy anodized parts to draw your attention. I guess the only exception is Tinker's Storm Adroit (but I must admit that's a self serving exception).